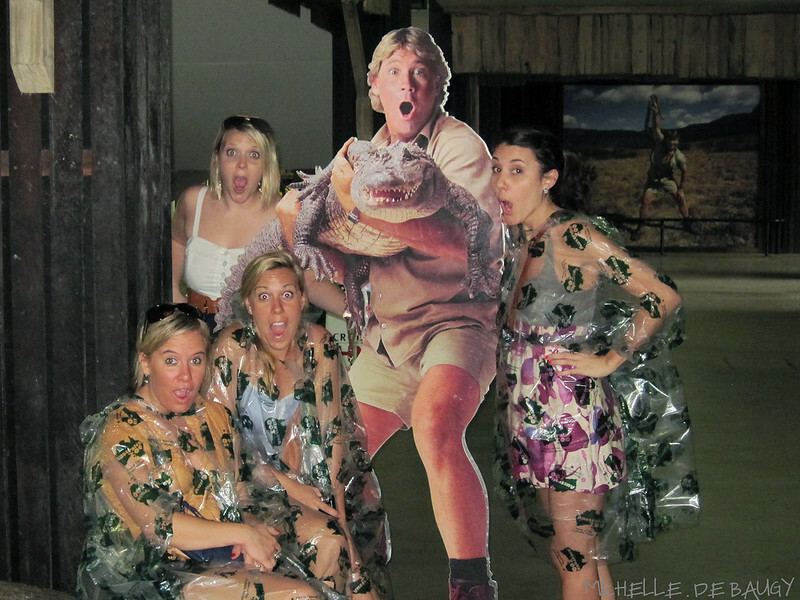 Our Life Down Unda: FAQ. I honestly started this blog because I wanted a place where I could share my pictures with family and friends. I had just gotten my first real camera and was excited to show off some of my skills :) Looking back on older posts now, it is easy to see how much I have improved... and how much more I have to learn!! I also blog because I think it is a really fun way to document our lives. A digital scrapbook of sorts that will be here to read forever. I often find myself going back and reading old posts; reminding me of some of the fun things we've done, thoughts I've had and adventures we been on. These are memories and pictures that might have been forgotten or lost somewhere on my computer had I not documented them on here. 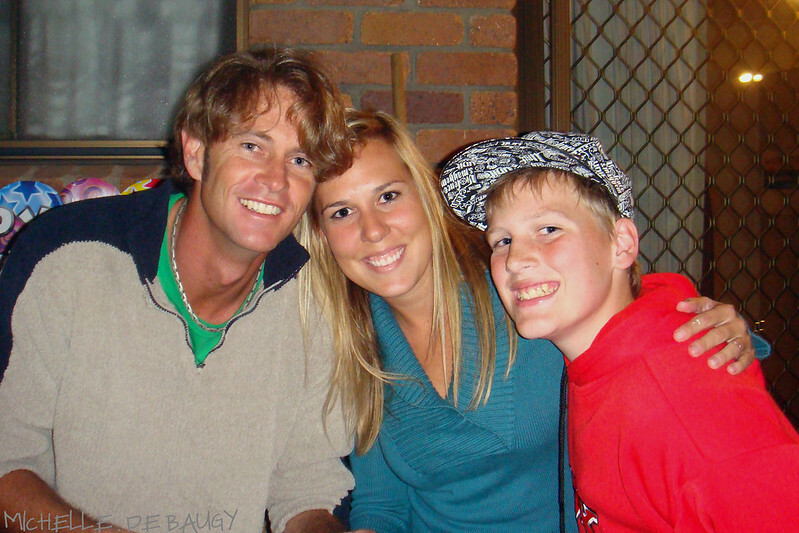 And finally, the main reason I continue this blog is to help keep our family and friends updated on our lives. It helps keep my American friends and family up to date with our life over here, making the distance not seem so far. I also secretly hope that my stories and pictures inspire people to come visit us as well, hehe. Is it working??!! Of course, this blog is only a fraction of our lives and what we do. I would really like to start writing more meaningful posts instead of just recapping our weekends and trips to the beach. I enjoy reading blogs where people tell story's about the good, the bad and the funny and want to keep evolving in hopes of inspiring and helping others by normalizing the ups and downs of real life through sharing my photos and thoughts. 2. How did you and Max meet? Girl works in pub and serves same people day in and day out. One day, a new Boy arrives at the pub for a few games of pool. Boy orders drinks and Girl introduces herself to him. Boy is shy but Girl keeps talking to him anyway. Boy and Girl finally decide to have a meal together, after which Boy walks Girl home and nervously kisses her on the hand (something Boy and Girl both still laugh about today). 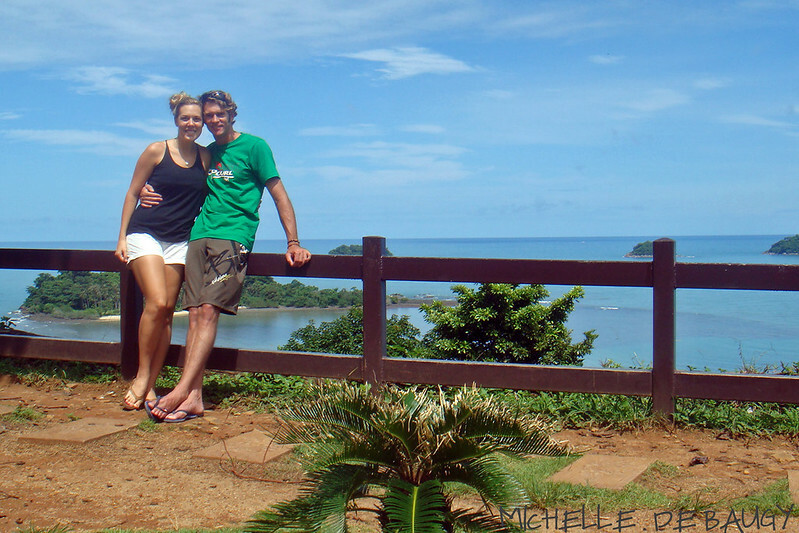 Boy and Girl spend every nonworking hour together, make plans to travel the world and quit their jobs. Boy and Girl travel the world (or a few places at least) and meet each other's families where Boy decides to ask Girl's dad THE question. Boy and Girl travel back to Boy's home where Boy gets down on one knee and puts a shinny ring on Girls finger. A year later Boy and Girl marry and two years after that, welcome a beautiful baby boy. The End... for now anyway. 3. Why did you move to Australia? This question could probably be answered in the form of a chapter book, but in an effort to not bore you to death, I'll try and keep this answer short and sweet. Basically, my "move" to Australia was an accident. My intentions were to come over here for a year to experience life outside my little southern American bubble. After meeting Max, and then Byron, I knew moving here was the right thing to do. I use a Canon Rebel T2i with both a 15-135 mm 3.5 and 50 mm 1.8 lens (with the 50 mm being by far my favourite). This is an amazing camera for beginners like myself because you can experiment and play with the manual settings, but there are also a bunch of different automatic settings you can use while you are still in the process of learning. I usually shoot in AP but still use the manual settings from time to time. I really want to learn a lot more and graduate to manual soon :) I would also LOVE a new lens but can't decide which one I get next... any suggestions?? I use Photoshop Elements 9/10 to do all of my editing. I recently upgraded to CS5 but got overwhelmed and haven't played with it in a while. I try and keep the editing down to a minimum because it can be soo time consuming if you get too carried away. I find that the Elements version of Photoshop really does everything (and more) that I could ever want but I would recommend taking advantage of the 30 day free trial before you make any purchases. Also, there are tons and tons of free Photoshop tutorials online if have no idea where to start. 6. Do you make pregnancy videos for other people? 7. Seriously, what is up with your spelling?! Firstly, I do sometimes (okay, not very often) proof read my posts before I publish them but being that spelling has always been my personal achilles heel (yes, I just looked up how to spell achilles!) I don't often catch my own mistakes. You know how your brain sometimes sees what you meant to write and not what you actually wrote. Well, mine does that all of the time. Sorry. Secondly, since moving to Australia I am constantly torn between the idea of switching to all Aussie spellings, keeping my roots planted firmly with my American ways or just using a bit of everything. Referring back to point one, I decided to use a bit of everything in hopes that people who read this blog just assume when something is spelled (or spelt is you say in Australia) incorrectly it must be because I am using American/Australian spellings or terms instead of thinking I am just in ignorant fool. So yea, I write and spell fluently in American, Australian and Michellan. 8. Did you make Lachlan's baby announcement? Yes! 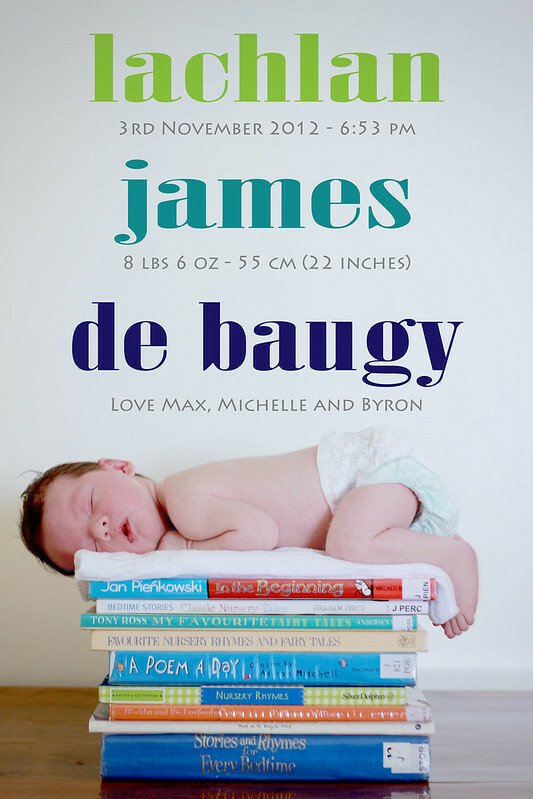 I conned my poor husband into helping me take this picture of our 1 week old baby on top of a pile of books :) What did we learn? Newborn photography is really hard! After designing the announcement, I struggled to find a place to get them printed. I ended up going with Tiny Prints (an American company) and had them shipped over to me in Brisbane. Even though I designed the announcement myself, I ended up paying an arm and a leg to get them printed so if anyone knows of a company that does quality printing for invitations, cards and photography, please send their contact information my way! I would be forever grateful!! 9. How so I start a blog of my own? So you want to start a blog of you own do you? Well, good news- It is so, so easy! There are heaps of free blog hosts out there for you to choose from. I went with Blogger myself but know a lot of people who use Wordpress as well. All you have to do is create an account, choose a template and start writing! 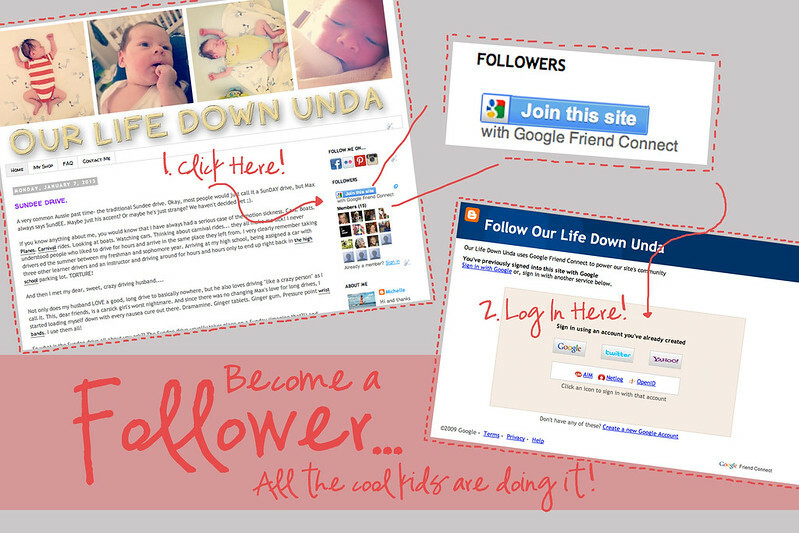 As you get more interested or involved, you can think about buying your own domain name (like what I did: www.ourlifedownunda.com) and making your blog a bit more personalised by creating your own headers, playing with HTML code and maybe even creating our own website. I have stuck with Blogger myself and just changed a few things slightly to make it more personal while still keeping it super simple and "clean" looking. If you have any questions about starting your own blog, feel free to ask away! 10. I really want to make a digital scrapbook. Where do I start? I wrote a post on this a few months ago. You can find that here! And speaking of contacting me... thank you so much to everyone who has been contacting me lately. 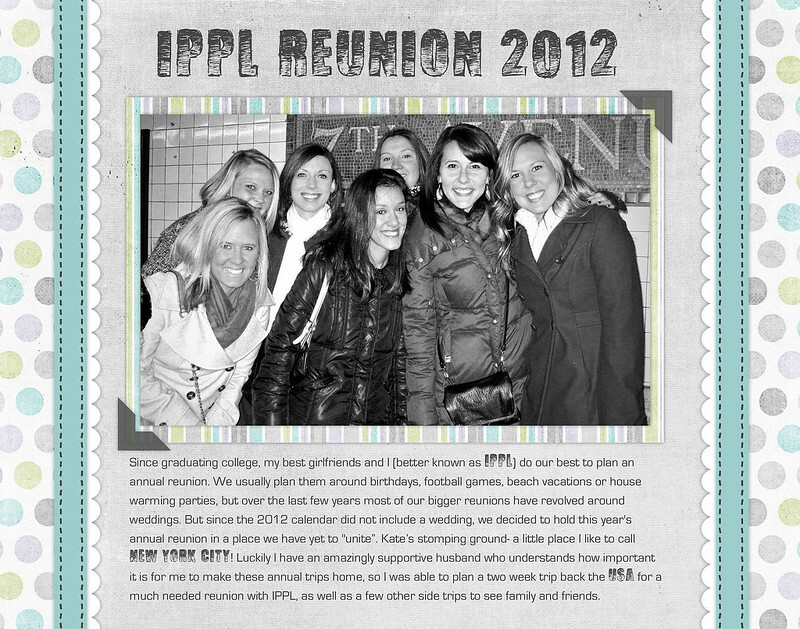 Old friends, new friends... people who I had no idea even read this blog- THANK YOU! While keeping this blog updated is a lot of work, it always makes me so happy when I hear from people who enjoy it and maybe even get a little something out of it as well. If you enjoy the blog and want to show your support I would love it if you became a "follower". When I am pregnant (don't hold your breath - got a few more years!) I definitely want to make a time-lapse video!! I'm trying to figure it out before that time comes, but you can count on a few questions from me :) I absolutely LOVED yours! !